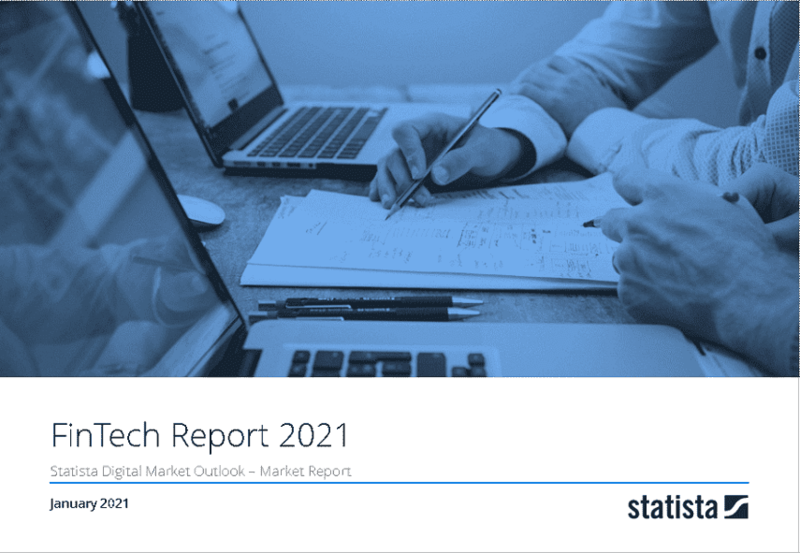 The market's largest segment is Digital Payments with a total transaction value of US$962,027m in 2019. Total transaction value of Digital Payments is expected to show an annual growth rate (CAGR 2019-2023) of 8.6% resulting in the total amount of US$1,339,005m by 2023. FinTech is short for ‘Financial Technology’, the central concept of structural change and digitization within the financial services industry. Under the collective name FinTech (which still lacks a clear definition even within the industry), financial services are understood within the framework of the Digital Market Outlook; digital infrastructures allowing the establishment of new types of agreements and procedures in the classic areas of banking such as lending, investment strategies and payments. The characteristics of the digitization process of financial services include: simplified access for end users via the Internet or mobile Apps, an increase in the processing speed of automated processes, reduction in costs, a stronger focus on customer service, more convenience, higher transparency and the exploitation of network effects. The FinTech market is characterized by a rapidly growing number of startups and businesses without bank licenses (non-banks). For an overview of the total potential of the FinTech market, a split between classic banks and non-banks is not sensible, because consolidation processes, co-operations and white label solutions mean that there will be no clear differentiation in the future. Therefore, a functions-oriented segmentation is preferred, based on an access- or business model-based split of the market. FinTech start-ups tend to focus on selected parts of the financial value chain and try to unbundle traditional bank business models. All monetary information in the FinTech section of the Digital Market Outlook refers to the potential transaction volumes of the respective segments and not corporate revenue. The following are not included in the current market definition: agency commissions via metasearch engines, for example, in the credit and insurance sector, business-to-business payments, API management, agencies and external credit scoring, crypto currencies (including Bitcoin) and complementary services such as online identification or account management. Reading Support Total Transaction Value in the Digital Payments segment amounts to US$962,027m in 2019. Reading Support The Digital Payments segment is expected to show a revenue growth of 10.0% in 2020. Reading Support In the Digital Payments segment, the number of users is expected to amount to 307.27m by 2023. Reading Support The average transaction value per user in the Digital Payments segment amounts to US$3,562 in 2019. Here you can find more studies and statistics about "FinTech".